Join us for a fun evening of wine tasting. 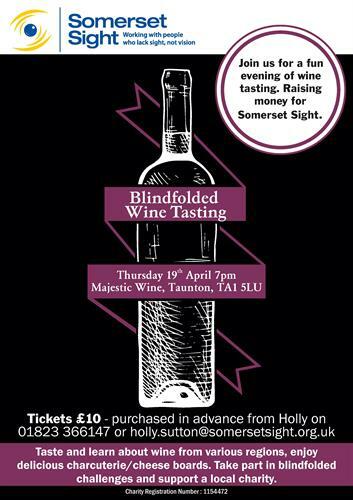 Raising money for Somerset Sight. Taste and learn about wine from various regions, enjoy delicious charcuterie/ cheese boards.